In this entertaining, highly readable book, couples learn that a fabulous marriage can be the outcome of learning to pray together, causing a 20 to 30% increase in romance, conversation and happiness. Best-selling author SQuire Rushnell and his wife, entertainer and talk show host, Louise DuArt take readers step by step through The 40 Day Prayer Challenge™ in which couples commit to praying together five minutes a day for forty days. 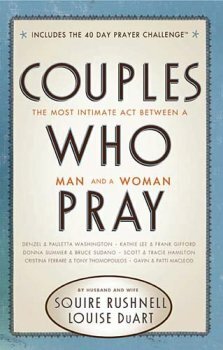 Backed by compelling research from Baylor University and Gallup Poll, the true-life experiences of 24 test couples, including Denzel and Pauletta Washington, Kathie Lee and Frank Gifford, Donna Summer and Bruce Sudano, Scott and Tracie Hamilton, reveal that daily prayer is a "life changing experience" in which most couples report positive outcomes in less than two weeks. Couples Who Pray includes an easy questionnaire prepared by Baylor University to help couples to chart their own progress during The 40 Day Prayer Challenge™. What's the difference between a covenant and a marriage certificate? The latter can be acquired from town hall. It's an impersonal series of words and signatures on a piece of paper, as routine as getting a driver's license. But a marriage covenant is an agreement between you and your partner and God. The town clerk may forget all about you the next day. God won't. I think that is so very true. In my own life, I've seen acquaintance after acquaintance get married either grandly with lots of pomp and circumstance or at the courthouse with as little thought as possible, never thinking about the commitment and effort marriage takes. Inevitably they end up separating, divorcing or ending up otherwise unhappy because they weren't thinking long-term. There's a natural inclination for two people to think about marriage as a 50/50 arrangement, each person contributing one-half the effort. But the natural outcome of that thinking is to begin tabulating a scorecard in your head, keeping lists of how much you think you have contribute versus your partner. ...there are many instances in the average family that automatically assume one gender will contribute more than the other. So let's establish this premise: each of you should expect to put in much more than your share to make your marriage work. This is definitely the case in a lot of marriages! I thought that way when I first got married too - "we each give 50%" - but as it turns out we both end up doing a lot more than that most of the time. 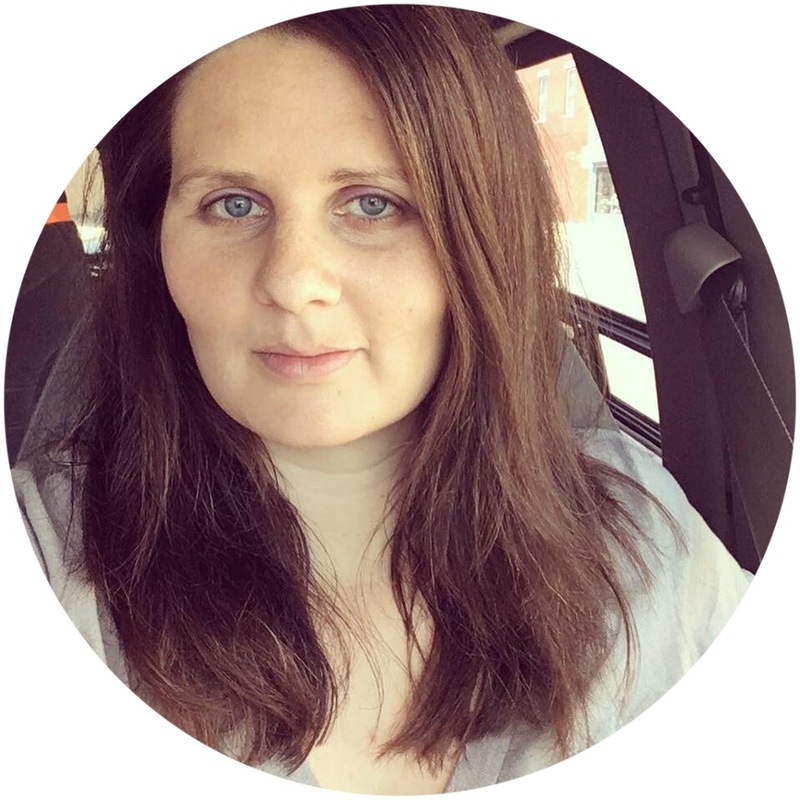 My husband works hard at a job and makes the money needed to support our family - that part of our life is almost entirely him, not me - and it's definitely worth more than just half! I stay at home and care for our children and our household. I won't say I do that job entirely myself because he does help out around the house sometimes and he obviously helps me raise the children - but I do a good majority of the work. That's definitely different from working at a job but it's no less important. I thought the book spelled out a very good way to look at it. Disclosure of Material Connection: I received this book free from the publisher through the BookSneeze®.com book review bloggers program. I was not required to write a positive review. The opinions I have expressed are my own. I am disclosing this in accordance with the Federal Trade Commission’s 16 CFR, Part 255: "Guides Concerning the Use of Endorsements and Testimonials in Advertising."